Hi – Aurora here. I actually get that question a LOT from teachers and educators who are wondering just what IS it about this program that makes it so special. Think of my curriculum as an educational consultant who’s got a big background of experience to draw from. I’m a teacher, just like you, who has spent many years in P-16 classrooms. In fact, I first got my start teaching engineering at Cal Poly State University at age 21. So I know how prepared kids need to be when they hit college. And this program was designed out of a burning passion to meet that need and make a difference in the world. The e-Science science program is the best online learning program, bar none. No ridiculous cartoon animations, insulting video-game appearance, or watered-down science experiments. Every science activity, project, and experiment has been used in classrooms, teaching real kids science for over a decade before they ever came to you. Your students will be making real science projects, from beginner level through advanced like the underwater R.O.V. robots, linear accelerators, hovercraft, and much more as they learn about the real world around them. When I first started teaching science, I researched and ordered every science curriculum I could get my hands on. This included textbooks and out-of-the-box lab kits also. I called up each curriculum provider and asked every question I could think of about how to teach science, who developed their program, and how they figured out what kids needed. As a teacher, I don’t want my curriculum designed by people with a PhD in marketing or sales. What I really care about is can this course help me teach my students in a way that lasts long-term? And have these people who developed this content personally done it (taught science) before? How many kids have they taught? What were the students like before and after the kids worked through the course? How much of an impact did the course make on the way students learn, and can they handle new stuff in the future long after the course is done? Most companies didn’t get into the curriculum business because they wanted to teach kids – they’re doing it because they want to make money. Most science curriculum providers charge a LOT more for their textbooks and curriculum programs and still don’t include everything the e-Science program does. And most companies don’t includes support, let alone unlimited support. Not one of the online programs includes instructional step-by-step instructional videos. At most, they are long screenfuls of text with partial instructions and animations better suited for Saturday morning cartoons than real science learning. I was amazed to learn that most companies recycled experiments from other sources and had not tested them out first before publishing! It turns out that not one of them had actually tried any of the experiments, but rather copied them from elsewhere. Sadly, most science curriculum courses fall way short of the target. Which is why I developed the most outstanding online science program ever. I knew I had to do something to help out not only other kids, but also teachers. 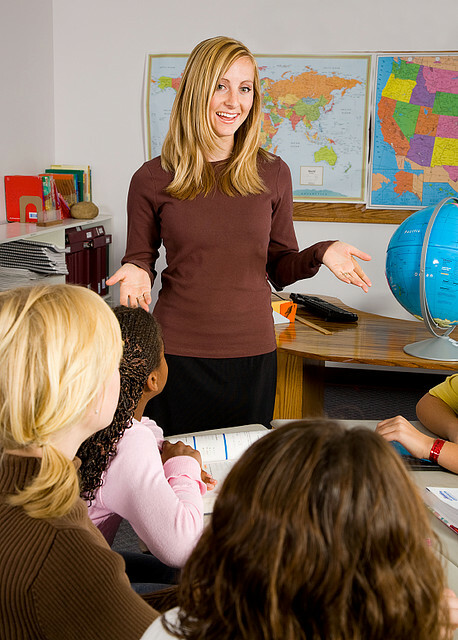 Teachers who want more for their kids, but weren’t exactly sure of how to go about it. The e-Science program was designed to teach your students real science. Period. The e-Science program is built by real teachers, not researchers or curriculum designers with stacks of PhDs and not one iota of actual experience in teaching. My company, Supercharged Science, is here to get kids crazy-wild about science. I always include a full Unconditional Happiness Money-Back Guarantee because I am here to support your commitment to your student’s education and want you to see what our programs can really do for your students. What this means is that you can test drive the e-Science program risk-free for the first 30 days. No strings attached. Try out the program: do the experiments, download the lesson plans, and if you’re not totally amazed by how much science your kids are learning, you’ll get a full refund. What this really means is that you won’t lose sleep over the cost because we’ll handle it if it doesn’t work out. I’m not after a one-time sale but a life-long solution for your students. No problem. I’ve done all the work for you. Each study unit includes lesson plans, objectives and goals, highlights and key concepts, vocabulary, lesson plans, discussion and development, experiments and activities, troubleshooting and going further ideas, evaluation and exercises, and a place to ask questions and get back answers. You can use the e-Science program in one of two ways: you can either go through the material first and then deliver it in your own style, or you can obtain a site license (which is easy and inexpensive) so you can set your students up with the program to learn on their own. You don’t even need a science teacher. Your students will be teaching YOU science because the e-Science Learning Program includes instructional step-by-step videos that any K-12th grade student can follow. If a picture is worth a thousand words, then a video is worth even more. 70% of our teachers who have struggled with written directions consider this part to be the most valuable component of the program. I’ve done the work for you. What this means to you is that you will have more time to spend on the things you really want to do instead of sitting at a computer screen all day long, searching for experiments and trying to decipher confusing directions. The e-Science program is all about science because a total immersion program is the most effective way to master a subject. Most science, engineering, and technology fields have their roots in the biggest building blocks in the science field: Physics, Chemistry, and Biology. 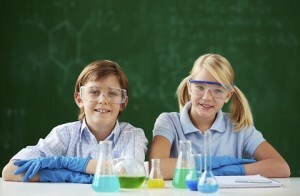 Science our program is designed by real scientists and educators that are experts in this area. You wouldn’t go to a plumber and ask him to fix your car, would you? It’s the same when selecting a science curriculum. What this means is that means you can rest assured your students are learning exactly what they should be without you having to fuss over the details. The e-Science program exceeds national standards: Which Standards are Met by e-Science? Teachers that work through our e-Science Learning Program get a front-row seat in aeronautics, electromagnetism, chemistry, robotics, lasers, optics, astronomy, hydraulics and pneumatics, engineering, alternative energy, and more by really doing science. The videos cover step-by-step instructions on how to build hovercraft, battery-free radios, solar-powered robots, underwater vehicles, and so much more. There’s also a section on how to fly a real airplane by taking your first flight lesson! Most science courses are more expensive than the e-Science program because they require full-year agreements or charge per course and per student. e-Science is a month-by-month program that you can enroll yourself in as an educator, or obtain a site license so your entire school can use it for one low fee. You don’t even need a science teacher. Many schools simply use an assistant in the classroom, since every step of the program is already laid out and on video. I’ve made a special effort to use low-cost materials in most of the experiments, so you can easily obtain these supplies in bulk in your local area. If you browse through the shopping lists, you’ll find most of the materials are found at the grocery store and hardware store, because you shouldn’t have to spend a fortune learning science. You can cancel the program anytime – no agreements or cell-phone-type contracts (boy, I really hate those!) And most other programs charge additional fees for support, and require expensive materials. How important is it to ‘see what’s out there’ in the science field? On a scale of 1 to 10? 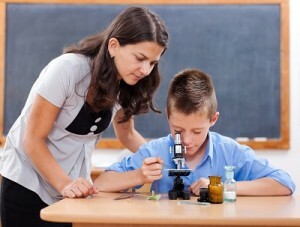 Have you seen your students gravitate to a certain area in science already? What if there was another area they haven’t been exposed to in the right way? What would that be worth to for your students to have this opportunity? What would your students miss out on if they never found their true passion? That’s why I offer Unlimited Support for as long as you need it because I am committed to your long-term success and not here to sell you a one-time solution. Ever get stuck halfway through a project, and wish you could just ask the author or creator of the program a question? This means you’re now off the hot-seat with having to come up with all the answers. We encourage kids to contact us as a part of taking charge of their own education. What this really means is that your student is now finding their answers to their questions, freeing up your mind for more important things. Teachers that encourage kids to utilize this part of the program report having kids that much more confident, empowered, and struggle less when they hit obstacles along the way. Are you ready to get serious about learning science? I can’t convince you whether the e-Science Learning Program is right for you – you’re the only one who can do that. You’re also the one who knows who will miss out if you use a program you know to be second-best. I invite you to test-drive the e-Science Learning program risk-free for 30-days. Click here to enroll now.